Pristella maxillaris, the only species in the genus Pristella, is commonly known as the X-ray fish or X-ray tetra because of its highly transparent body. The translucent layer of they skin that covers it's small body, allowing the fish's backbone to be clearly seen. Where Are X-Ray Tetra Found? X-ray tetra fish are found in South America and the Amazon river. Where Do X-Ray Tetra Live? X-ray tetra fish was live in acidic and alkaline waters. What Do X-Ray Tetra Eat? ⧪ X-Ray Tetra was lives in large groups, and males can be distinguished from females by being smaller and thinner than the females. ⧪ Like most other tetras, they feeds primarily on small insects and plank-tonic animals. 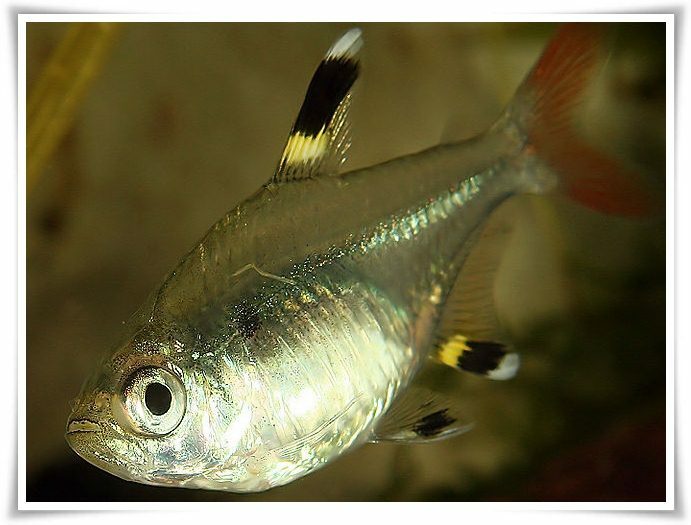 ⧪ X-ray tetra get they name like that because of they highly transparent body.